Another huge movie is announced for the year 2019 and this time we will see the very gorgeous Urwa Hocane in the producer’s chair. Urwa Hocane and Farhan Saeed’s new production company Shooting Star Studio has collaborated with ARY Films and they will be producing the movie named Tich Button. 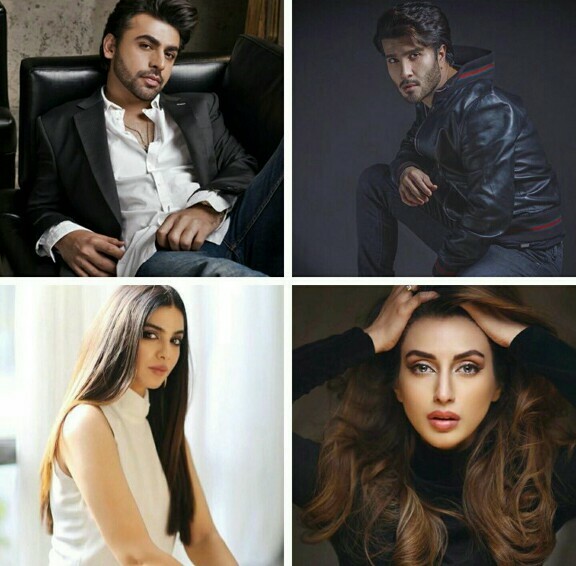 Earlier, it was confirmed that Farhan Saeed will be making his silver screen debut with Tich Button but now all the lead cast is announced and the movie will have Feroze Khan, Sonya Hussyn and the diva Iman Aly in the lead roles alongside Farhan Saeed. This will be Feroze’s comeback to the cinemas after his debut film Zindagi Kitni Haseen Hay opposite Sajal Aly. Sonya is ruling at this point with her career going the right way. The actress is already a part of Faysal Qureshi’s production Sorry-A Love Story while Iman Aly will be the crowd puller for everyone. Tich Button will be directed by Qasim Ali Mureed and with the motion poster seems like a fun movie. The film will go on floors very soon!